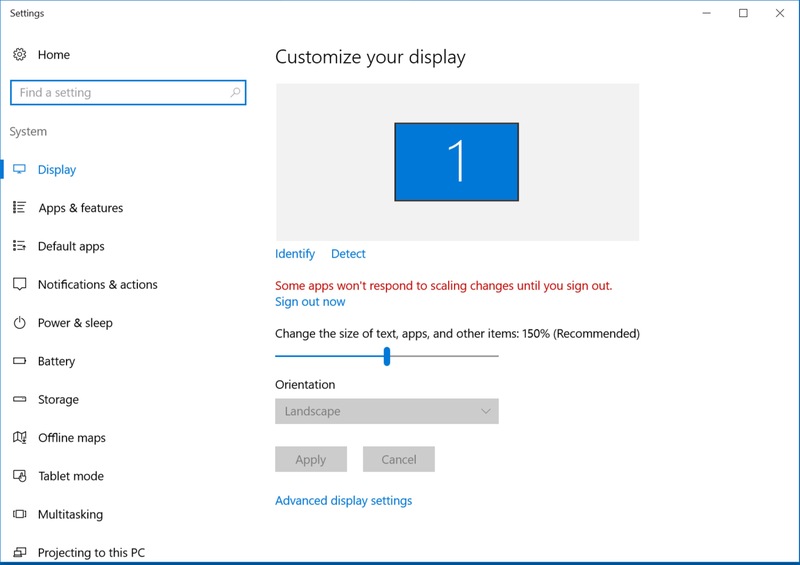 Summary: For best performance select 100% DPI setting (“Change the size of text, apps, and other items” in Windows 10) with less pixels used for display. Ideal Irena/Nika display seems to be HD TV resolution (1920 x 1080) or similar. Vertically, Irena and Nika need up to ~830 pixels for some panels. When using Windows 7, 8, or 10, typically with high resolution displays (aka 4k, UHD, etc. 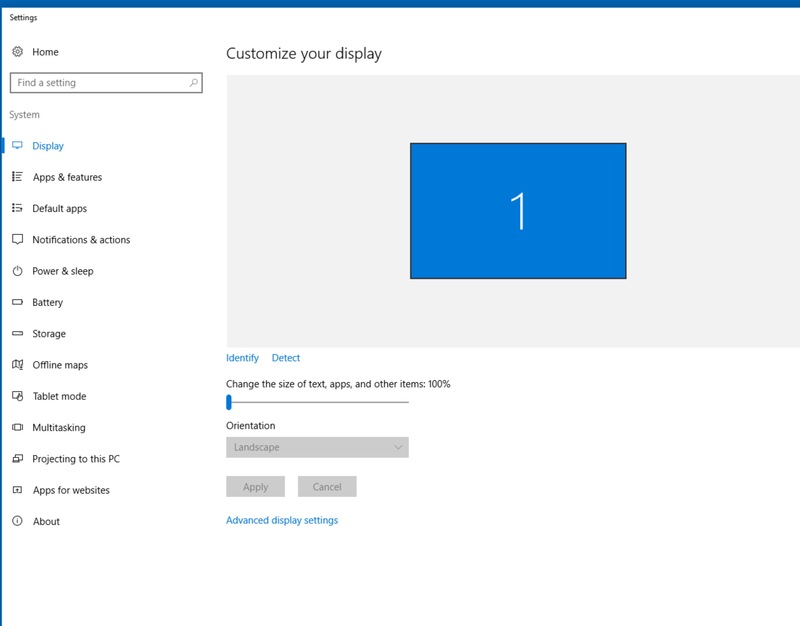 ), users often choose to set display number of pixels to high number but since the text and icons become small to read, they increase DPI - or as Windows 10 names it “Change the size of text, apps, and other items”. This tells applications to scale up (if more than 100%) the windows so they can still be readable even with large pixel displays. Igor Pro 7 (at least 7.03 and below) does not handle this well enough - it seems that it can only scale panels up by full 100% steps (100%, 200%, 300%,…). This means, that under some combination of display resolution (number of pixels) and DPI settings user can have the bottoms of the panels cut off and controls which should be there are missing. 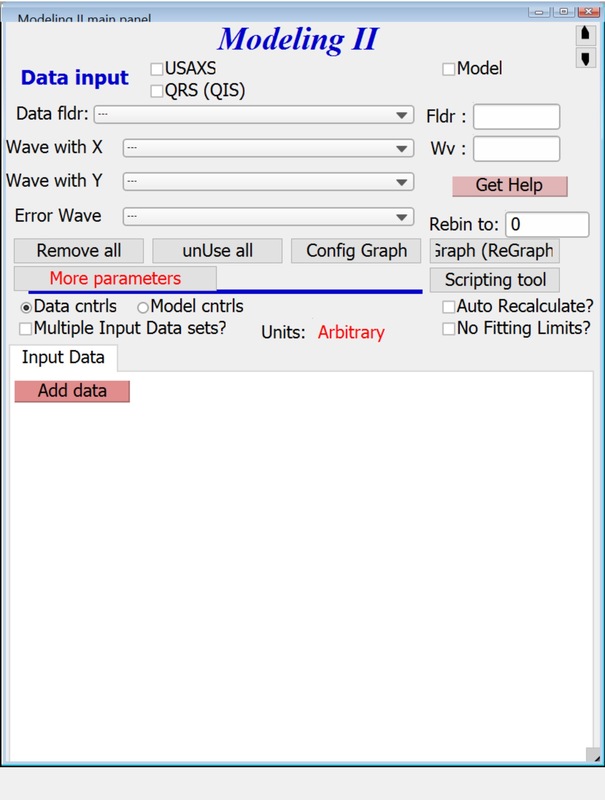 Unluckily, even after working with Wavemetrics on this the only solution I know about is to modify display settings. Note, that future (as of 4/28/2017) versions of Irena and Nika will present users with error when they estimate that screen settings are incorrect. 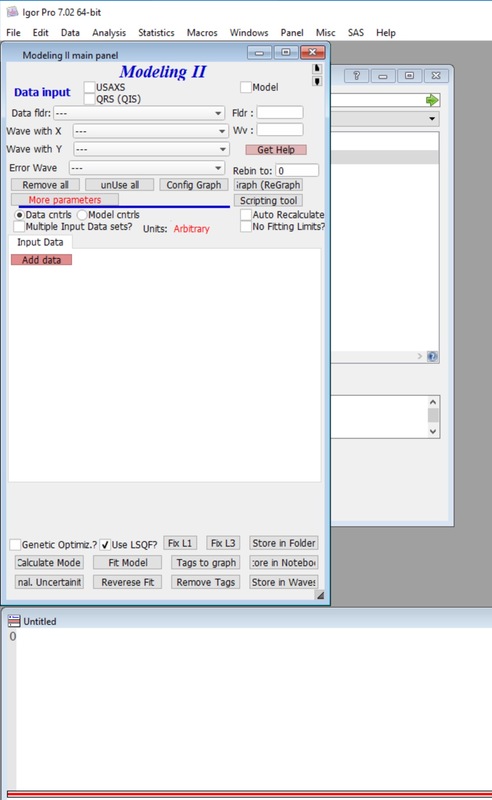 Here is example of panel which is missing bottom controls due to incorrect settings. Here is how to get to the controls. Right click on the desktop (of the OS, not Igor Pro). 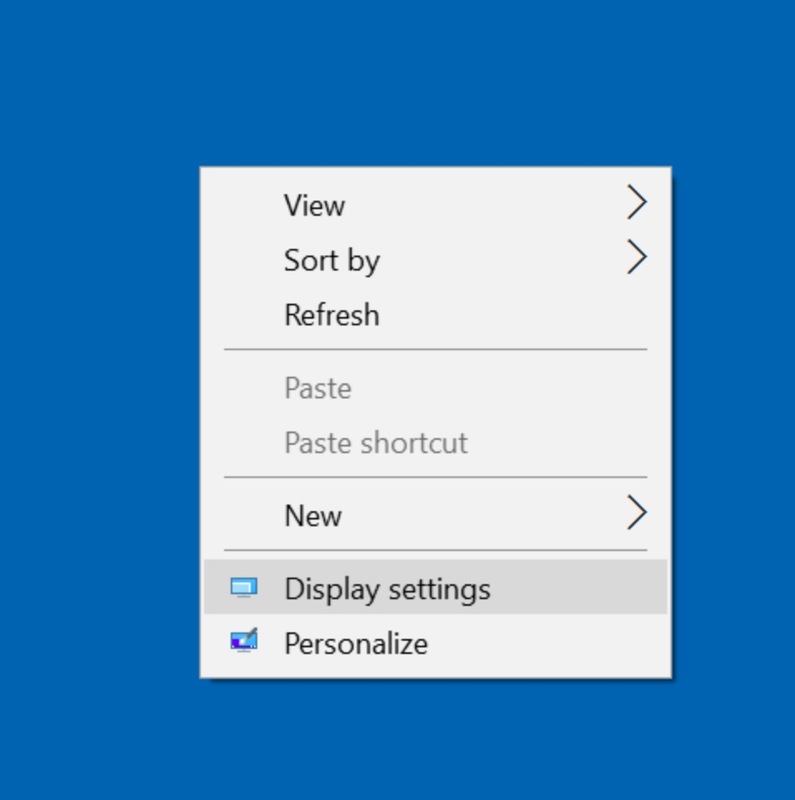 Here is what you should see (again, Windows 10; Windows 7 and 8 are slightly different and call the setting DPI). Note the slider is moved to higher than 100% setting. You may need to change now the display pixel resolution (numbers of pixels setting) to less pixels so you can actually read the text. Or get larger display. If you just installed Irena/Nika/Indra, you need to quit Igor Pro and start it again; only creating New Experiment is not enough. These xop packages are loaded when Igor starts. So this HDF5.xop may not be loaded. If that does not work, you need to manually create shortcuts (Windows) or alias (OSX) between following files and locations. Note: Use aliases (shortcuts, links) and do not simply copy the files, with aliases, if you upgrade Igor to new version in the future, HDF5 library will be upgraded also. During Igor upgrade the alias/Link target will be upgraded by Igor installer. Note, HDF5.xop is 32 bit version of the executable package, HDF5-64.xop is 64 bit version of executable package, and HDF5 Help.ihf is help file. Quit Igor Pro, restart and it should work now correctly. If not, please contact me so I can identify the problem. © Copyright 2018, Jan Ilavsky. Created using Sphinx 1.8.5.